Remember 2011? We do (vividly), because that is the very year we started this EVRYTHNG adventure. Back then, AWS, Google and Microsoft didn’t know what MQTT was, HTTP was a no-go for most device manufacturers, TLS communication with IoT devices was still seen as a nice-to-have and digital identities were only for humans. I might not be totally objective, but I think it is fair to say that EVRYTHNG has been pushing innovation in the IoT since then. We built a platform on an architecture that has become a de-facto standard. With a handful of other researchers, we created and promoted the Web of Things principles (today an official W3C standard stream). And we were the world’s first to give billions of apparel and CPG items a digital identity. Thanks to all of this, being the CTO of EVRYTHNG has been (and still is!) quite a ride! As the organization grew, we felt it was important to maintain our ability to innovate. Don’t get me wrong: innovation is at the heart of everything we do. However, as the company started to mature, innovation became more focused on iterative learnings with our customers and improving the product step by step, meaning there was a little less space to explore risky and ground breaking projects (like the Web of Things was back in the day). Hence, I am thrilled to announce the launch of a new team within EVRYTHNG. We call it our Labs team. The team is composed of research engineers. They are not quite developers, not quite researchers, but somewhere in between. The goal of this new team is to identify key technologies that might influence the markets EVRYTHNG operates in. In particular, the Labs team builds what we call minimum viable prototypes as well as technical marketing assets and intellectual property around these ideas. Recently the team identified the rise of Low-Power Wide Area Networks (LPWAN), which we believe will be a game-changing technology in obvious domains such as metering, but also less obvious ones such as the supply chain. 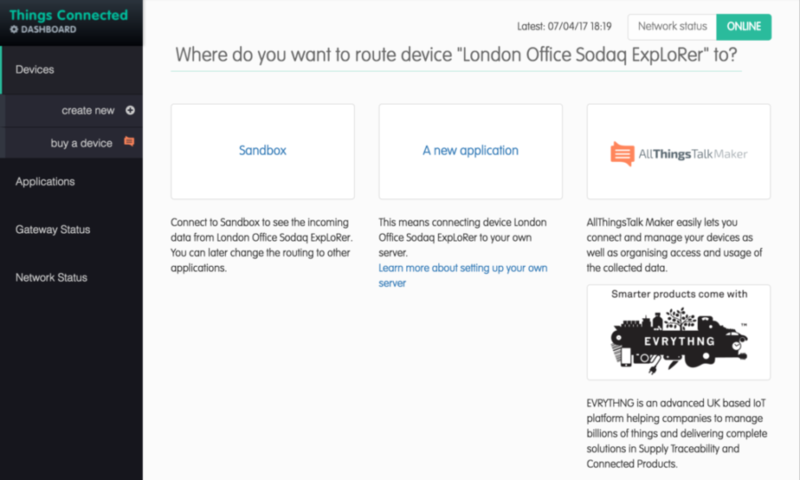 In this space, the team built bridges with a number of key LPWAN players (Sigfox, LoRa and Things Connected) and is finalizing support for TheThingsNetwork, while simultaneously turning the EVRYTHNG platform into the ideal IoT platform for LPWAN projects. It is also the team responsible for our study of the potential and risks of blockchains in domains such as product provenance, supply chain and IoT more generally. This work led to the building of a first integration with the Bitcoin blockchain there is much more to come. Just like we want to play nice with all the major LPWAN players, we want to play nice with a number of blockchains that could add value to the use cases of the brands we work with. Finally, the team is taking part in a large-scale research project. After working on the Compose EU project leading to the first official W3C submission for Web enabling Things (Web Thing Model), we are now working on a new exciting EU-funded project called TagItSmart. 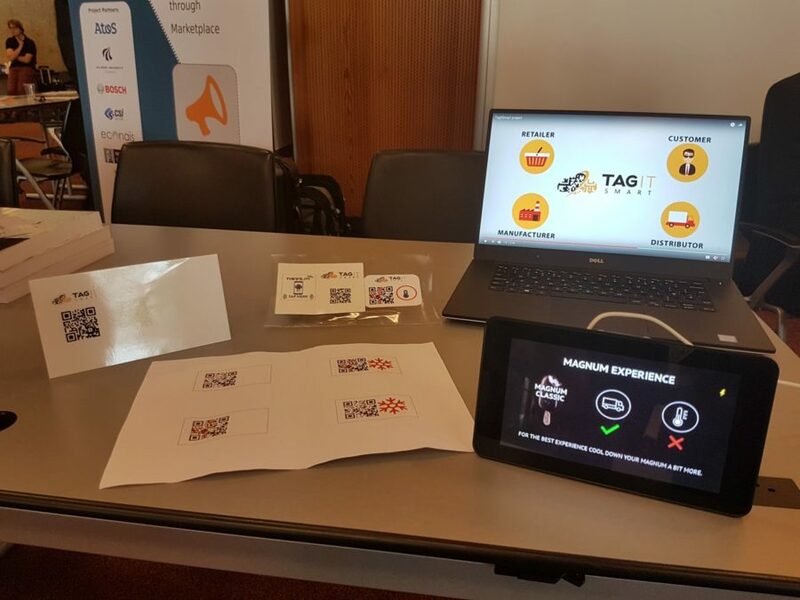 TagItSmart is looking at disrupting the packaging industry by transforming packages into sensors using special inks, variable QR codes and smart printed NFC tags. The team did not stop there, and we are actively working on the next big things for IoT and for EVRYTHNG. So watch this space for some more innovation!